I am known by many names depending on who is using it. To my parents I am Diana, to my sons, Mom. Hopefully when my granddaughter begins to address me besides the cute smile, it will be Gramma. When the Tele-marketers call, I am Ms Moravik (click). To my mentor, I am her Timothy. Some use endearing names such as Geek, friend and even Sweetie. But to most, I am DeDe. Have you noticed the many names used referring to God these days? I have heard ‘Big Guy in the sky’, or ‘Dude with the rules.’ God is sure to love THAT one. For some, using these lessens the impact. Or so they think. I am going to be extremely blunt. Jesus is offensive. Just the mere fact of Who He is and saying His name, offends many. He is the Son of the Most High God, Creator of all things. In light of that statement, we are SMALL, so very very small in comparison, and most don’t like that. Let’s face it, the mere mention of Jesus can invoke action from the heavenly realm, so we better be oh so careful of its use. I was once in a restaurant and a gentleman used Jesus’ full name (if you will) in a rather harsh way. Being bold I calmly said, “I don’t really think He is going to respond when you talk to Him like that.” The meal, $10.95, the look on his face, priceless! Let’s bring it home. How do ‘we,’ followers of Christ, lovers of God …. address Him? Does it reflect respect, an authoritative figure, or relationship? Or all of these. Before answering, here’s a run-through-grab-a bible study snack. God’s name. 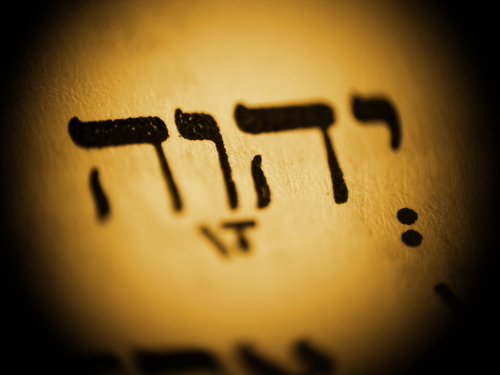 Each time in the Old Testament when we see LORD (all caps) this is known as the Tetragrammaton. Greek for ‘four letters.’ In brief, this is The Name, (Ha-Shem) YHWH, ‘Yahweh,’ meaning ‘to be’. Eyes glazed over yet? Stick with me, this is good. It is known by the Hebrew people to be so extremely holy as not to even say it … while the world curses using it, (I might add). It is the response God gave when Moses asked, “Suppose I go to the Israelites and they ask … ‘What is his name?’ Then what shall I tell them?” Remember the burning bush? God said to Moses, “I AM WHO I AM.” Yahweh. Is that not the most beautiful name, Yahweh. Then there is Adonai (my Lord, master) and Elohim (God) they often appear together “My Lord, God” – remember what Thomas said when he encountered Jesus after His resurrection, “My Lord and my God!” Oh, that that would be my continuous response to Jesus! How do we refer to our God? In conversation with others, in the most intimate prayer times, or just our perspective of Him. For some it is Father, for others we don’t dare share such an intimate expression for THE God. Beloved, might I ask, WHO do you need right now? Same God, different character expressions. Is there some provision you need? He is Provider. Do you need healing? He is Healer. Do you need some overpowering strength? He is God Almighty. Do you have a tremendous battle you are fighting? Raise your hands, the battle will be won. He is. Through out the day, there are moments when all I can say is “Jesus,” knowing full well the power, the authority, the grace. 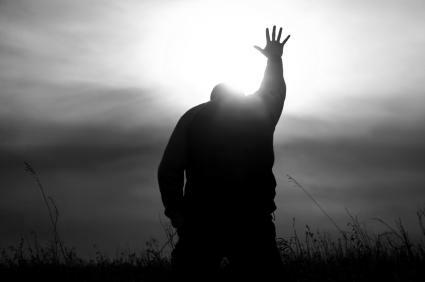 At times with my understanding, “Oh, God!” has been the only escape from my lips. I recommend a wonderful devotional, “Praying the Names of God” by Ann Spangler. This entry was posted on September 22, 2012 by Inspired Fountain. It was filed under * Miscellanous Stuff and was tagged with Adonai, Healer, Name of Jesus, Names of God, Provider, reverence.